Quality Scent is an American Fragrance oil company, founded in 1999 and based in Chicago, IL (USA). 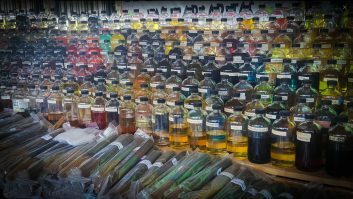 We supply premium grade specialty fragrances to the wholesale, retail, and consumer markets throughout the world. Since our inception, we have always emphasized Quality and service above profits. Quality Scent is the most trusted name in the fragrance business. Our strict commitment to quality ensures that our customers will receive only the purest, most natural products possible. We invite you to compare our quality and discover the difference our dedication to fragrances makes. Please contact Quality Scent right away, and let our professional and knowledgeable staff help you with all of your fragrance needs.